You ask me how far this is true, well I would say it is as true as we know "Sun always rises in the east and sets in the west!" So improve your knowledge and clear all misconstrued facts, you must read this article. I hope you will get some idea about how carbohydrates, health and weight are interrelated! 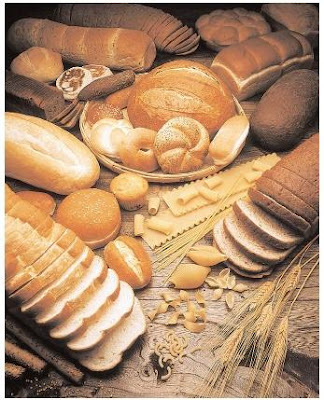 Carbohydrates are very essential for our body. Carbohydrates render fuel to most of our major organs including brain and kidneys. A carbohydrate splits up into glucose in the digestive system and the pancreas secretes a hormone called insulin to help the glucose move from the blood into the cells. How Complex Carbohydrates are useful to your body? Complex carbohydrates are chains of three or more single sugar molecules linked together. Long chains of sugar molecules are called starches and they serve as the storage form of energy in plants. Branched complex carbohydrates called cellulose form the structural components that give plants their shape. Complex carbohydrates take longer to digest. Complex carbohydrates are found in fruits, vegetables, nuts, seeds and grains. Some examples of foods high in starchy complex carbohydrates include bread, cereal, rice, pasta, potatoes, dry beans, carrots and corn. Green vegetables like green beans, broccoli and spinach contain less starch and more fiber. All grains include starchy carbohydrates. Whole grains such as whole wheat pasta are better for you because they have much more fiber. Examples are vegetables, breads, cereals, legumes and pasta. Complex carbohydrates should be a huge part of your diet. About 50% of your daily calories should come from carbohydrates mostly from grains, cereals, fruits and vegetables. Only a few of your daily calories should come from simple carbohydrates like table sugar. Complex carbohydrate really should be the basis of your diet. Instead of bleached white bread, eat whole wheat bread. Instead of white rice, eat brown rice. Instead of white bagels, eat whole wheat bagels and so on. Oatmeal is another great complex carbohydrate. Starting your day with a lot of Complex carbohydrates for breakfast such as Oatmeal, will help you become better focused and energized throughout the day. What are Simple Carbohydrates? How Simple Carbohydrates are useful to your body? Simple carbohydrates are made up of one or two sugar molecules linked together. Some of simple carbohydrates include glucose, fructose [fruit sugar], sucrose [table sugar] and galactose [sugar in Milk]. Simple sugars are used as ingredients in candy, ice cream, cookies and other sweets. Plus they occur naturally in fruits and very small amounts are found in vegetables. Simple carbohydrates are digested quickly. Examples include fruits, sugar, milk, honey, yoghurt, molasses, and fruit juice. Making the transition from simple carbohydrates to complex carbohydrates will be very effective in improving your nutrition. It is much less fattening and offers many benefits to your health and metabolism. Should we avoid carbohydrates so that we don’t gain weight? No. Please avoid this misconception. You gain weight if you consume too many calories. It doesn’t matter whether they are from carbohydrates, proteins or fats. Statistics says "Nutrition Experts recommend ones diet should include 50-60 percent of carbohydrates of the total calories. We must consume more complex carbohydrates than simple ones but we should never stop taking simple carbohydrates which contain important vitamins and minerals." Avoid getting the bulk of your carbs from refined foods high in sugar. Stay fit and healthy... That’s all we need at the end of the day! First of all I want to say awesome blog! I had a quick question which I'd like to ask if you do not mind. I was interested to know how you center yourself and clear your mind prior to writing. I have had a difficult time clearing my thoughts in getting my ideas out there. I do take pleasure in writing but it just seems like the first 10 to 15 minutes are lost simply just trying to figure out how to begin. Any recommendations or hints? Appreciate it!